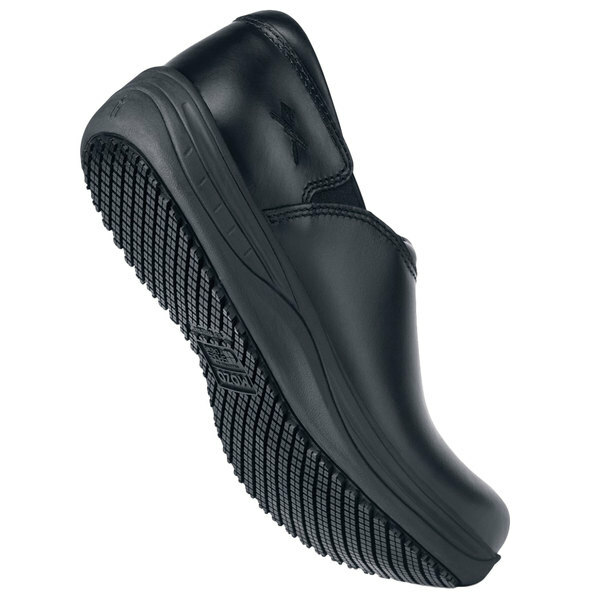 Stay fast and safe while working in the line with this MOZO M43803 Forza men's black water-resistant soft toe non-slip casual shoe. 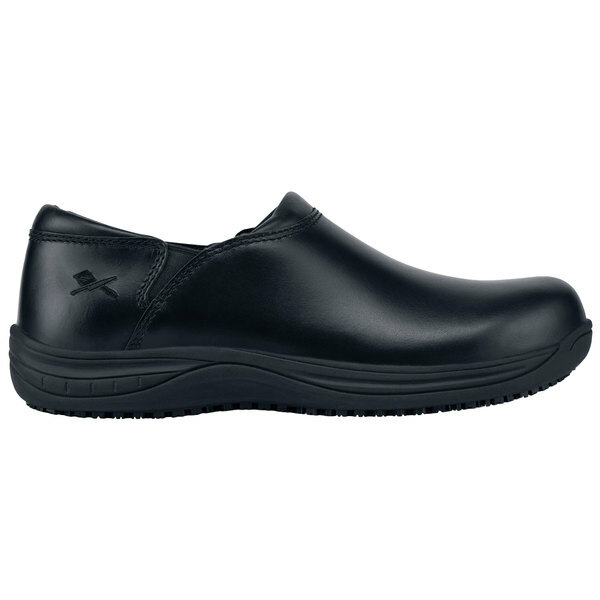 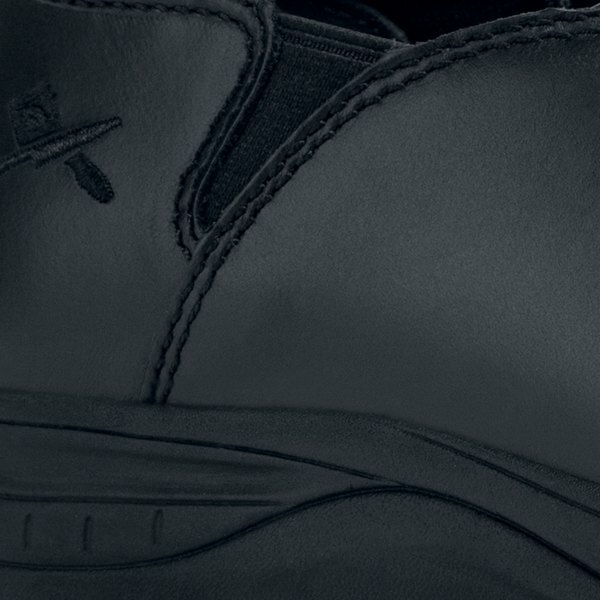 Thanks to its leather upper material and reinforced plastic in the toe box, this shoe is a durable option to protect your feet while working in the kitchen. 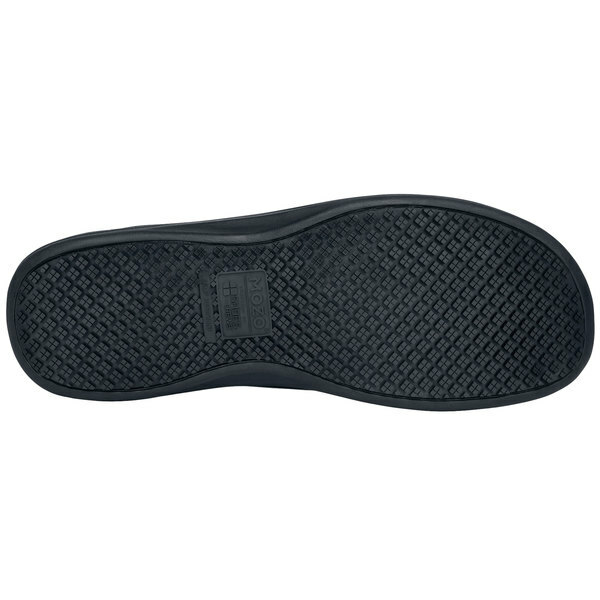 Inside, the removable gel insoles provide a soft inner layer that reduces stress from standing or walking for long periods of time. 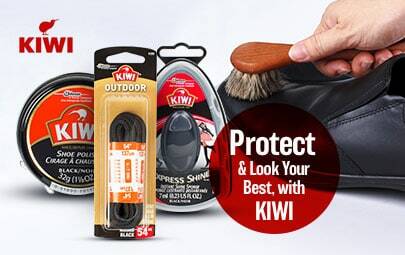 This water-resistant shoe is also safe to wear in a variety of environments, as its non-slip design minimizes the risk of accidental falls on slick floors or around spilled liquids. 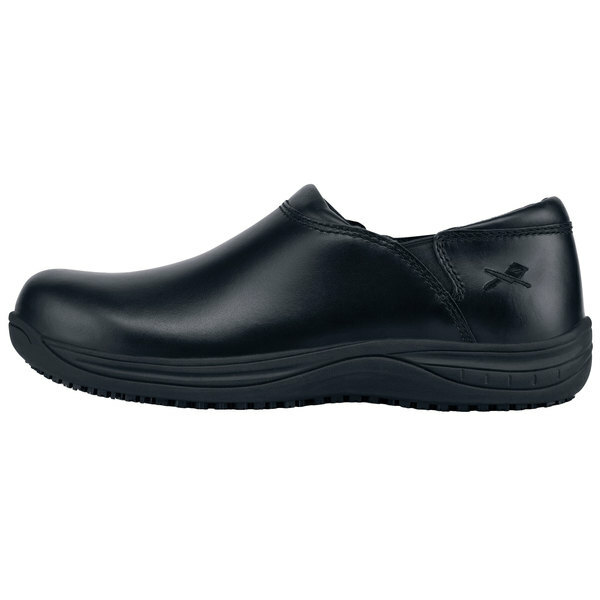 Elastic goring makes it easy to slip into this shoe, making it a great addition to your work wardrobe. 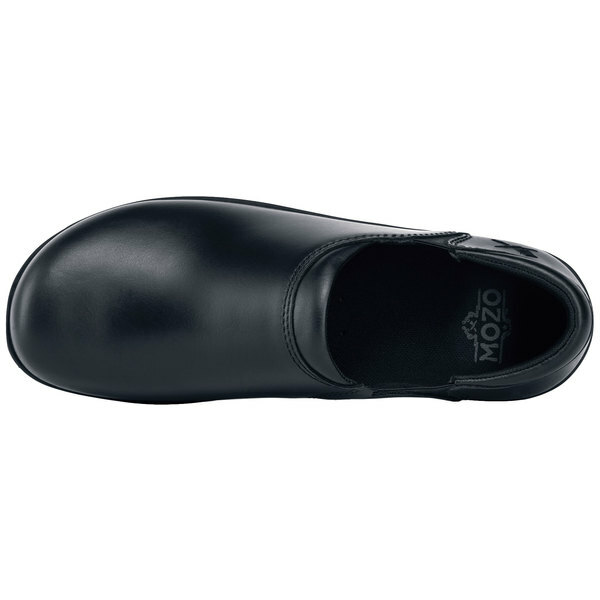 Plus, the MOZOFit technology uses two shims to create a customized fit, while the non-metallic shank provides great arch support and stability.